This afternoon, Oakland City Attorney Barbara Parker announced that the city of Oakland had filed a federal antitrust lawsuit against the Raiders, the NFL, and the league’s 31 other franchises. 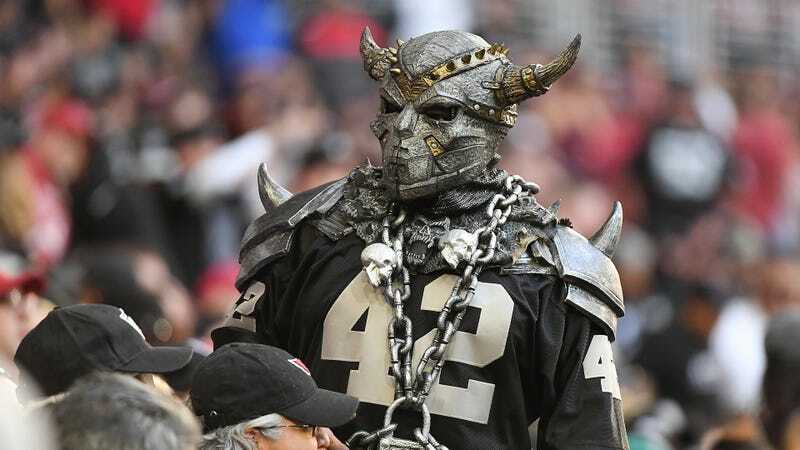 The subject of the suit is the Raiders’ forthcoming move out of Oakland to Las Vegas. From 2014 to 2017, the Raiders, through their owner representative, Mark Davis, publicly stated their desire to stay in Oakland (presumably to continue to reap massive profits at the expense of Raiders fans and the citizens of Oakland) while they affirmatively sought to move anywhere else: San Antonio, Los Angeles, San Diego, or Las Vegas. In fact, at one point, Davis simply stopped speaking to Oakland’s Mayor, Libby Schaaf. By 2016, the NFL became directly involved through Eric Grubman (“Grubman”), its Executive Vice President in charge of stadia and relocations. Although Grubman supposedly “negotiated” with Oakland, he actually criticized Oakland’s every move, including its $1.3 billion proposal for a new stadium near the Coliseum, the current home of the Raiders. The Raiders, the NFL, and ultimately the vast majority of NFL Clubs, were just stringing Oakland along as part of their collusive scheme to move the Raiders. Oakland is seeking relief for the $80 million it will still owe for stadium repairs after the Raiders leave town. The timing of the lawsuit is important here, as the Raiders are currently in negotiations with the Oakland Coliseum authority concerning where they will play next year. Coliseum authority Executive Director Scott McKibben said the Raiders would not extend their time in the Coliseum by another year if the city filed a lawsuit. Team officials did not comment when asked how the lawsuit will change their plans for where to play next season.